A bath thermometer is a simple device that's designed specifically to measure the temperature of the water it's immersed in. This is a practice that has been used since the early 1900s and possibly even longer and although it's basic, it works. What feels warm to you might be incredibly hot to your baby and vice versa which is why a thermometer is always the most reliable option when it comes to temperature. There are several other tricks that we'll go into later on that you can use in addition to your bath thermometer, but having a device, specifically one that's digital can make a world of a difference. Thermometers are much more advanced now in their ability to determine the exact temperature to the decimal point and we've sought out some of the best to protect your little one's sensitive skin. Just like the three bear's porridge, your baby's bath is best if its not too hot, not too cold, but just right! To make it even easier to find the best bath thermometer for you family, we have recently redesigned our buying guide! The new look is sleeker, easier to read, and more mobile-friendly! 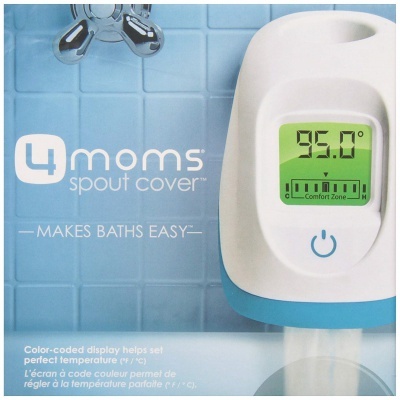 For those who do use the bathtub for bathtime, this spout cover is a must as far as accurate temperature reading goes. It displays the temperature digitally as water is coming out so you know exactly which way to turn the knob. A good alternative to floating thermometers is getting one that goes directly on your water spout. This device makes drawing a bath easy from the start since it attaches to your faucet with velcro and measures the temperature of the water as it comes out of the spout. You'll be right on track with your water temperature and will know exactly when to turn the hot or cold water taps, making bath time quick and easy. The trick is the sensor that's inside of the device; as water passed over it, the temperature is read quickly and displayed accurately. For those who find it easier to give their babies a bath in the bathtub, this device might be exactly what you're looking for. You'll be able to read the temperature of the water as it's flowing out of the faucet which means you can catch a temperature that's too hot or too cold before the tub is even full. Now that's what we like to call set up for success! There's a decent amount of guesswork when it comes to figuring out a bath temperature that's just right for your baby. You might even end up draining some water out in order to bring the temperature up or lower it and that can be a huge pain, not to mention a waste of time. This product makes it easy to average your water temperature before the tub is even full, cutting down on both time and frustration. This could be a great device for the entire family but can be easily removed when someone else is using the tub or if you're using more than one bathroom. 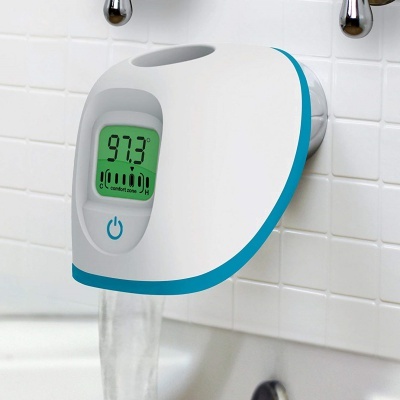 The display on the front of this unique device lights up fully and is a breeze to read so that you'll be on-point with every turn of the hot water. There's no denying that everyone loves a cute little turtle and your little one will, too. 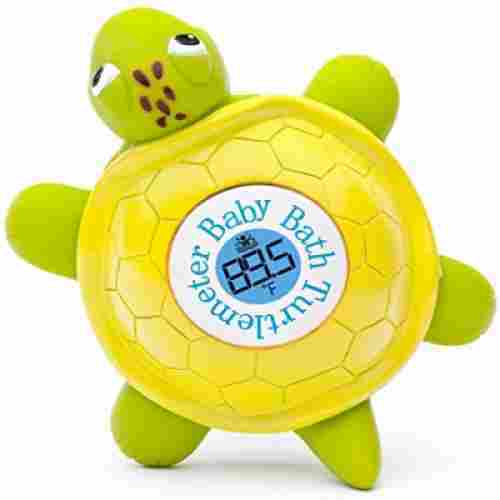 The Ozeri Turtlemeter is designed to light up as well as give you the exact temperature of the bathwater before your baby even touches it. This is the thermometer that every mom wants in her baby' bathtub. The Turtlemeter has every aspect of temperature-taking covered, complete with lights that let you know if the water is too hot, cold, or just right. For parents, it relays the temperature to you in two ways; the first is by flashing the exact temperature of the water and the second is via color. If the water is too hot (above 102-degrees) the light will flash red, if the water is too cold then the light will flash blue, and if the temperature is just right, the light will remain green. Color alerts really help when it comes to bath distractions. It's easy enough to get caught up in playing with your baby in the bath or allowing them to enjoy the water without realizing that the temperature is going down. By lighting up, you'll know immediately when it's time to end bath time and find a cozy, warm towel. This is an excellent and helpful way to know when the water is dropping in temperature or when it's safe to put your baby in their bath. This adorable little turtle is hiding a bit of brilliance beneath its cute exterior. It's completely waterproof and baby-safe so whether they're splashing with it, submerging it underwater, or simply just pushing it around, you'll know they're playing with something that won't hurt them or break. 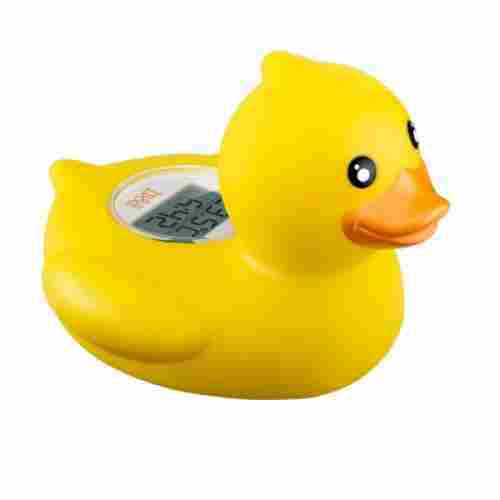 Next up is the Duckymeter which, while adorable, is a pretty great choice for bathwater. It doubles as a worthy bath toy and is completely waterproof to provide you with accurate temperature readings throughout bathtime. Similar to the Turtlemeter, the Duckmeter functions in very much the same way. However, this bath toy is a bit more familiar and recognizable as a cute rubber duck! If anything, it comes off as much more of a toy for babies and young kids and will make bath time a fun and engaging experience. 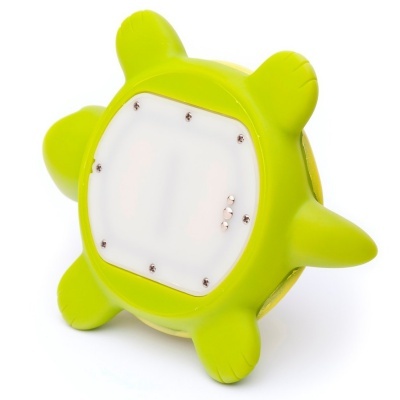 This product has all the same features as the Turtlemeter, including lights that indicate temperature changes, fast and accurate temperature readings, and a waterproof exterior. 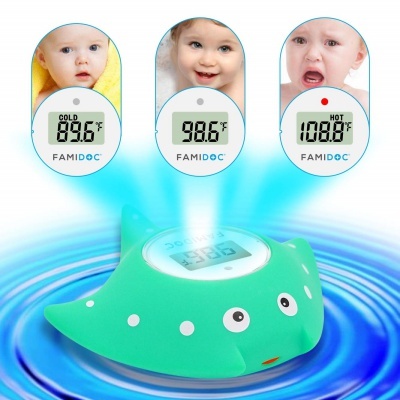 This thermometer is a fun way to add some laughs and levity to bath time, especially if you have a fussy baby who isn't the biggest fan of the water. This is a thermometer-toy that will grow with your child. Kids love playing with rubber ducks until they're well into their toddler years and it will eventually be a great way for you to teach them how to check the temperature of their bath water on their own. It can be challenging trying to find a toy that your baby can play with that's not too big, is completely waterproof, and baby-friendly. This can prove to be even tougher when there isn't much room in a baby tub, to begin with. That's why the size of the Duckymeter is perfect for a two-in-one toy. 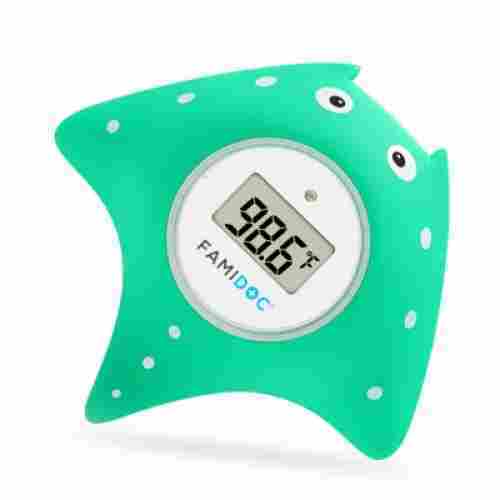 This thermometer, while less of a bath toy, will alert you with an alarm when the temperature of the water is too hot or starts getting too cold. It's easy to get swept away when playing with your baby in the bath which is why this comes in as such a great timer. When you can't constantly check the temperature reading on your thermometer, what's the next best thing? Hearing it, of course! This tiny floating turtle can be left alone in the tub and will give you automatic readings every two minutes. This makes bath time effortless and will alert you when the water temperature drops so that you know when it's time to dry off your baby and get outta there. This tiny floating turtle will also beep to let you know when the bath water is ready as well so that you won't waste any time (or heat!) when it comes to your baby's routinely baths. We might as well call this the "smart thermometer" as far as features go. Not only will this turtle beep to alert you of a temperature change, but it'll also beep when the battery is low and needs changing. This entire device is made with a waterproof, hard plastic, making it stable as well as solid in the tub. It's not likely to flood or show wear and tear easily which means you'll be able to use it for years as your child grows up. It's completely waterproof and makes for a fun toy for your child as well, whether they love bobbing it, pushing it around, or shoving it under the water -- It'll always pop right back up and surely induce a laugh! This cute little ducky has just as much purpose outside of the bath as it does inside and will tell you the temperature of the room as well as the water. Its dual purpose is one reason why we love it so much. We seem to be noticing a trend here... A cute, yellow trend, to be exact! There's a reason that babies love rubber ducks so much and we were thrilled to include these adorable birds on our list. 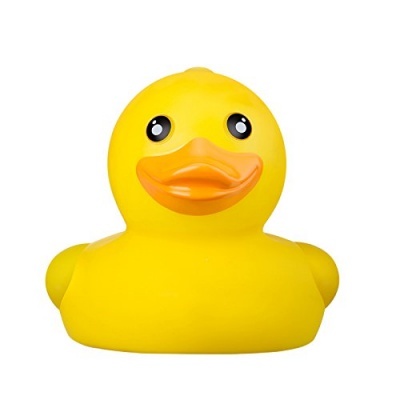 Anything in the form of a cute little lake-dwelling animal is just that much more adorable when it's floating around in the bath, and this rubber ducky is sure to capture your child's attention. The digital read-out is easily seen from the top of the duck and won't take away from the "toy" aspect of this product. This will leave you reassured that you always know the water temperature while your baby splashes away. It's a simple device that doesn't have any frills and needs no fuss in order to make it work -- simply turn it on and pop it in the water. As it floats around, it'll provide you with constant temperature readings so that you can easily keep track. It also lights up green and red to indicate temperatures that are too hot or too cold as well so that you don't need to be staring at it constantly. 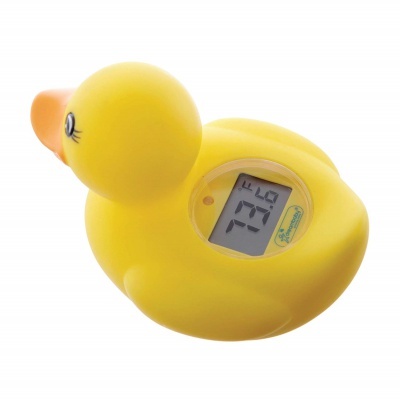 The advanced features don't stop there with this alluring little ducky -- It can even be used to measure the temperature of a room as well. When it's not floating around in the bathtub, it can do its job just as well outside of an aquatic setting. We guess you could say that it does well as a fish out of the water! The fact that this thermometer can go straight from the bath to your baby's dresser to measure the temperature of their room is a key quality of this product. It pulls double-duty to ensure that your baby is always comfortable and will be the perfect indicator to let you know when it's time to raise or lower the thermostat. The hottest part of the bath is usually at the bottom which is what makes this thermometer so unique. It's designed to sit over the drain which not only keeps water from leaking out, but gives you the most accurate temperature reading possible at the same time. And now for something completely different! 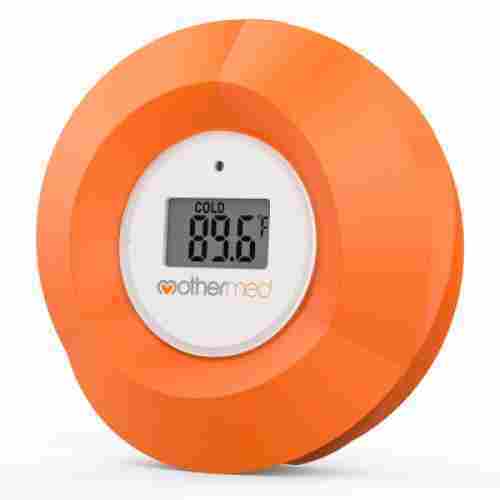 While this thermometer doesn't work as a traditional digital thermometer, it is pretty smart. Many times, floating devices will track and measure the surface temperature of the water which might lead to a slightly cooler result than the water underneath. In order to prevent this and provide as accurate a reading as possible, Munchkin has designed a thermometer that's intended to read the temperature in the hottest part of the tub -- the bottom! This device can be easily suction-cupped over your drain and will glow in one of three colors to let you know what the bath temperature is like. Green means you're good to go, blue means the water is too cool, and red, of course, means the water is too hot. This suction cup will also prevent water from seeping down the drain which can also alter the temperature of the overall bath quite a bit. The colors glow very bright to let you know exactly where the temperature is at before your baby even goes into the tub. It's sensitive enough to adapt to changing temperature conditions and will produce immediate results. You won't even miss the digital temperature reading with this handy little device. Since the temperature underneath the water is always the most extreme, you'll always know what's going on down there without even needing to check it yourself. 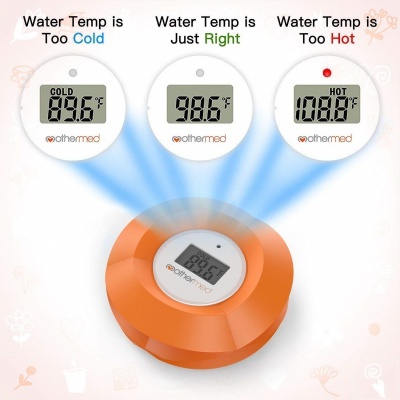 The unique shape of this thermometer allows it to float on top of the water to consistantly provide an accurate temperature reading. It's also interesting to babies who will be enamored with its bright color and unusual shape. This floating thermometer definitely looks a bit different from what we've included on our list so far but don't worry, there's a reason for that. 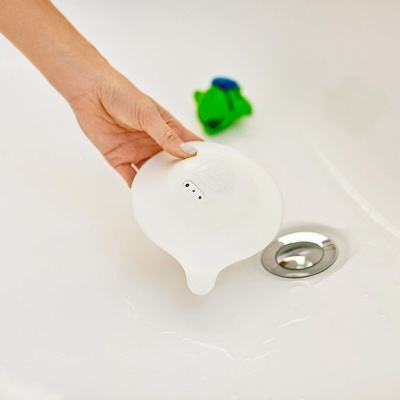 The unique circular design allows this device to float around the tub where it can be easily picked up by you or played with by your baby. This waterproof toy might look a bit strange but it's a hit with babies. The unique look and shape of it will pique their curiosity and turn baths into a fun place to be while you get proper use out of their "toy" in the form of a digital thermometer. Additionally, there's a light indicator on the front of this device that flashes various colors to alert you to the current state of the bath water. It'll let you know when the water is too hot, when it's just right, and when the temperature has dropped below a safe level. It's super easy to use -- simply give it a shake, tighten the battery pack, and stick it in the water to get an immediate temperature reading. It's bright and inviting and perfectly safe for your baby to play with as long as you make sure that the battery pack on the back is tightly locked. This device can also be used to take the temperature of the room as well. When you're finished with the bath simply take it out, dry it, and set it up in a safe and obvious place in order to monitor your baby's room temperature as well. This is one stingray that your baby doesn't have to be afraid to play with! This cute little aquatic animal is just as great a bath toy as it is a thermometer and will bring tons of fun to bathtime. This little stingray could not be cuter in the form of a bath toy. While that's not what it's really intended for, it is perfectly safe for babies to play with -- because you know they will! 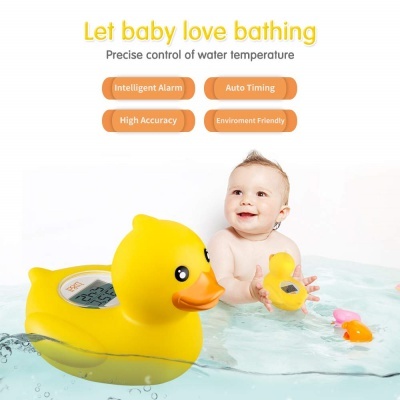 It features a locking battery pack that makes it waterproof and easily submergible and will have your baby loving their bathtime in no time at all. It'll let you know when it's perfectly safe to start the bath, when to end it, and when your water is holding at a steady temperature. This is a fun device that can be used often as your baby grows up because what toddler doesn't love a new bath toy? 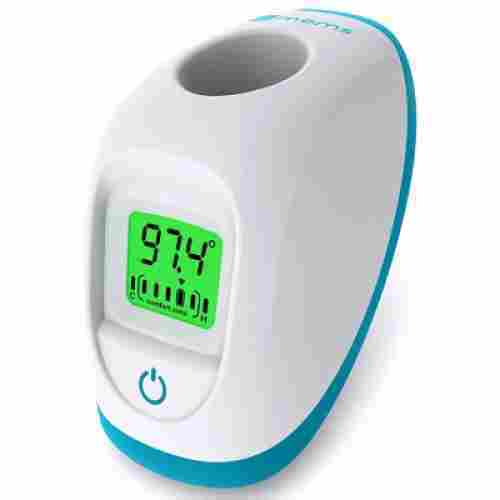 The LCD display is crisp and easy to read on this device and puts it in the top running for high-quality thermometer products. Water can easily distort the image and make numbers tough to read but that's not an issue you'll find with this cute stingray. The display is easy to be read and also easily seen at the top of this brightly-colored aquatic animal. That's not even the best part, though; you'll also notice a light on this display that serves as an indicator for when the bath is varying in temperature. The battery is guaranteed to last at least one year which is longer than many bath thermometers on the market. Even though it's constantly exposed to water, this is one tough little device that's sure to outlast the competition. You've seen plenty of cute ducks before but this one beeps! It'll alert you to any sudden temperature changes so that your baby is as comfortable and happy as possible while in the bath. This is the last duck on here, we promise! This B&H-designed rubber ducky is completely maxed out as far as features go so that you won't need to go looking for anything extra. For starters, it displays the temperature of the bath water as soon as it's placed in the bath. This would make a perfect gift for new parents since it takes all of the guesswork out of running a bath for their baby. 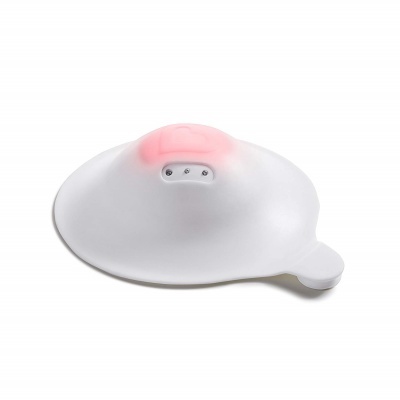 This little device will save time and stress when it comes to figuring out temperatures and keeping track of how long your baby has been in the bath. But wait, there's even more! You'll notice that the display on this duck is a bit larger than many others and that's because this smart little duck tells time as well. 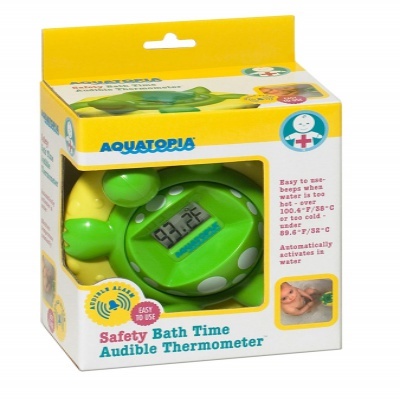 That's right -- there's a built-in clock on this thermometer so you can keep track of exactly how long your child has been in the bath before their pruney fingers do. Talk about features out the wazoo! This is something that's useful for all ages, not just for babies. When your toddler or tween is in the bath, this can be a helpful device to let them know when they should be getting out the bath. Now, it's time to answer some of the other things you're probably thinking before it's time for your baby's bath. As a grown adult, let alone a parent, it can be challenging to know how your baby feels since they can't formulate words or full sentences yet. While they can cry and express how they feel, there's no way for them to say, "this water is too hot" or "I'm chilly". We've already shown you a wide array of thermometers that are ideal for testing out the waters before allowing your baby free reign of his or her bathtime, but now it's time to discuss how we found them. his is perhaps the most commonly asked question when it comes to bathtime for babies. Ideally, the water should be no higher than the human body's internal temperature -- roughly 100-degrees Fahrenheit. This temperature will ensure that your baby is comfortable since the temperature is on par with their own internal thermostat, but hovers just slightly over to keep them warm. You don't really want to go any higher than this because you run the risk of scalding your baby's sensitive skin. This is especially important for newborns as their skin is still adjusting to external temperatures and while they do need to be kept warm, they shouldn't be kept hot. A common practice is to bath your baby in the sink in a bathtub that's designed specifically for them. While this is perfectly normal and fine, something you should be aware of is the faucet out of which your water is coming from. Especially in some older houses, metal faucets might remain hot to the touch after running hot water through them. Even if you've run cold water through it as well, the faucet may still be holding onto a significant amount of heat. If your baby happens to touch this, they could run the risk of an uncomfortable sudden heat that could hurt or scare them. Always check to make sure that your faucet has cooled down and, if possible, turn it as far as you can away from your baby and his or her bath. While on the hunt, we first needed to make the distinction between digital thermometers and traditional thermometers. Both serve a purpose and are very reliable, but you'll find mostly digital on this list. In today's day and age, a digital thermometer is much faster as it provides an immediate read-out and will keep track of the water as the temperature goes up or down. However, we have included one non-digital device for those who would rather read the temperature manually and keep track of bathwater the entire time rather than constantly re-checking with a digital device. Neither way is wrong, it's just whichever you, as a parent, are more comfortable with.
. When it comes to babies, anything that is fully baby-proof and can also act as a toy is something that will inevitably be successful. There was something that went hand-in-hand with this idea, though, and that was safety. We needed to ensure that any product we found was undeniably waterproof as well as baby-safe when it comes to playtime and water leakage. Through various customer reviews as well as reviews of the brand itself, we were able to determine which products remained on the list and which got tossed down the drain... so to speak! What we were left with was nothing short of the best list of baby-safe, accurately-reading thermometers you can find and it's a list that we are confident in presenting to you as well. Consider how you feel when you get out of the bath or a shower on a cold, winter day. If you don't have heat in your bathroom or even if you have cold tile floors, you often feel a chill, correct? This same thing can happen to your baby in the event that the room they're being bathed in is not warm. You might not notice the temperature change at 68-degrees Fahrenheit but with water clinging to your baby's skin, you can guarantee that they'll notice it. It's important to make sure that the temperature of the room is just slightly higher than normal in order to make for a smoother transition when taking your baby out of the bath. Additionally, have your most comfortable, cuddly towels ready and waiting to wrap them up and make them feel warm again. It's the little comforts such as this that will make bath time a friendly experience and one that they won't fear rather than enjoy. q: Do these need to be calibrated? Any directions will be found in the summary of each product but for the most part, no -- These thermometers are ready to go from the moment you take them out of their packaging. Normally, food service thermometers need to be calibrated if they're non-digital. Anything that is digital is usually pre-calibrated and ready to be used. q: Will this remain on automatically if I want to progressively measure how quickly the water temperature cools down? Most of these are designed to shut off automatically when not in use. 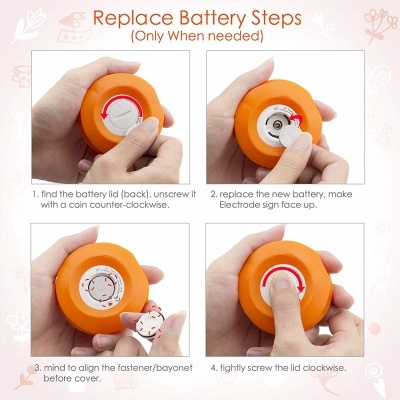 This saves the battery power and prevents it from being drained completely in one use. Non-digital thermometers are great for this reason. However, since most of these are digital, they're easy and fast when it comes to turning them on and taking a measurement. q: What's the best way to store them when not in use? You would store these just like any other thermometer in a place that's cool and dry. After each use, make sure to thoroughly dry the product before putting it away to keep it hygienic and ensure a long shelf-life. q: Can my baby play with this while it's still on? Yes. Each one of these products that also doubles as a toy is designed to be completely baby-friendly. That means regardless of whether or not it's acting like a thermometer or a toy, your baby will be perfectly fine playing with it. There should be a panel on the bottom of each product that can be unscrewed. The description of the battery will be found in the "product detail" section on its Amazon page. q: Could this throw off an inaccurate reading? It's not likely. Thermometers these days are designed in such a way that virtually eliminates false readings which means you'll likely get something as accurate as possible, each time. If you do get an inaccurate reading, that means something is faulty with the thermometer itself and it should be returned or exchanged.